Protein is a vital nutrient for a healthy body and is essential for the growth and maintenance of your body tissues. When you to switch to a plant-based diet, you must add protein-rich fruits and vegetables to sustain the levels of protein your body needs. The key is understanding how to get the nutrients you need from the plants you consume. Two cups of broccoli are equivalent to approximately 10 grams of protein. That’s a fifth of your daily recommended protein. Broccoli’s versatility makes it easy to get your full two cups a day. A great snack option is raw broccoli dipped in your favorite salad dressing or hummus. You can also incorporate it into your meals by adding it into a salad or steaming and adding your favorite seasonings to it. With so many ways to prepare this protein-dense vegetable, it’s easy to fit into your diet. Brussels sprouts may be small, but they contain large amounts of protein. A half cup is enough to provide you with 2 grams of protein. You may not be a fan of Brussels sprouts, but you certainly don’t have to eat many of them to receive the protein benefits. 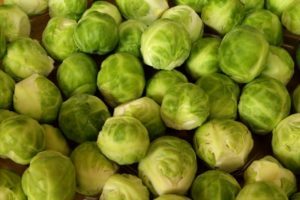 When prepared correctly, Brussels sprouts lose their bitter, unpleasant flavor. Give them a try by sautéing on the stove with olive oil and garlic, or pan roasting them with balsamic vinegar. This leafy green vegetable is popular with both meat and veggie eaters. Its ability to be consumed both raw and cooked make it versatile and easy to prepare. Incorporating one cup of cooked spinach into your diet provides 5.35 grams of protein. A cup of uncooked spinach provides only .9 grams of protein. In order to get the maximum amount of protein from spinach, try cooking it with a little olive oil and garlic on the stovetop. Regardless of your preference for cooked or uncooked spinach, you can still reap the protein benefits of consuming this veggie. You can get rid of unhealthy sweet cravings and incorporate a sweeter source of protein into your diet with figs. A single fresh fig contains .8 grams of protein. One dried fig contains approximately 3.7 grams of protein. While dried figs contain slightly higher amounts of protein, they’re also much higher in sugar. This, unfortunately, counterbalances the nutrition you get from the protein. If you do snack on dried figs, be aware of how many you consume. Sweet, juicy nectarines are another fantastic source of protein for a plant-based diet. One cup of freshly sliced nectarines provides 1.46 grams of protein. To increase the protein value of a nectarine to 1.96 grams, cook them on the stove or bake them in the oven. Nectarines are easy grab-and-go snacks that are packed with protein. They can also be turned into a delicious dessert. The next time you make a cobbler, use nectarines for an extra protein boost. Increase your protein levels and incorporate more veggies and fruits into your menu with a plant-based diet. If you have any questions on how to make the transition while still getting all the nutrients you need, please let us know!